Three-Minute Fiction: The Pomelo The man was so beautiful. He appeared to be stepping out of the ad on the side of the bus, his hair illuminated in sun. Amelia saw the little slip of paper burst from his pocket when he pulled out his keys. It flipped in the air once, twice before it caught against the cement stairs right in front of her. For Round 11 of our Three-Minute Fiction contest, we asked you to send a story in which a character finds something he or she has no intention of returning. The winning story for this round was "Reborn" by Ben Jahn of Richmond, Calif. Stories are published in their original form. The man was so beautiful. He appeared to be stepping out of the ad on the side of the bus, his hair illuminated in sun. Amelia saw the little slip of paper burst from his pocket when he pulled out his keys. It flipped in the air once, twice before it caught against the cement stairs right in front of her. She quickly shut her mailbox with the very tiny key that made her feel oversized and fumbling. Carefully, so as not to rustle it, she pushed open the heavy metal door of the apartment complex and snatched up the piece of paper between two pale fingers. She looked down the street in the direction that he had gone, but the faces, the heads, the clothing — it was already all wrong. "This is what he needs," she said to herself, softly. She ran her thumb over the last word, smudging the pencil a little. 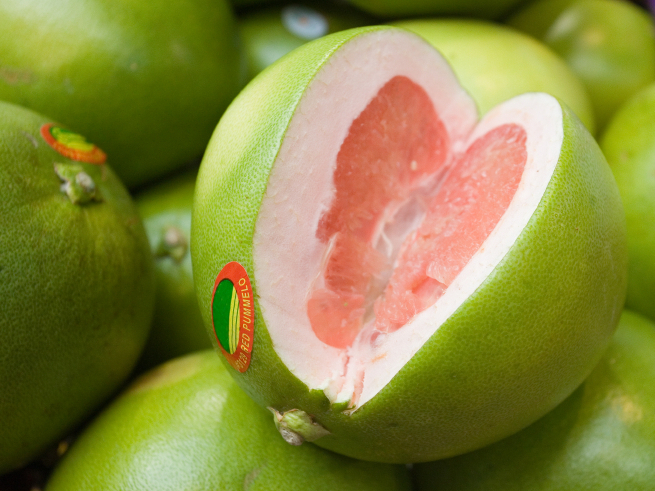 Pomelo? She lifted her head and said the word slowly, her mouth moving as a fish blowing bubbles, "Pomelo? Pomelo?" She hurriedly walked three, four blocks and entered the grocery store with its frozen, scent-less air. She stood in the entryway, the automatic doors saying whoosh, whoosh as people funneled in around her. "Can I help you?" asked someone in an apron. She could not tell if it was a man or a woman. "Pomelo?" she said, but it came deflated and not how she practiced. "Pomelos. Over there," the person said, and pointed at a bin of luminous green fruit, so large and round. A bin of discarded planets, lost without their moons. Amelia needed both hands to pick one up and this made her smile. She placed it back on the pile very gently. Then she turned around and left. In later years, during the moments of greatest darkness, she would clutch the battered list to her chest and whisper soothing words to herself, "Pomelos are real. I am real. Pomelos are real. I am real."